We are an independent game studio based on the Internet, developing for PS4, Xbox One, and Steam. Birds + cupcakes = Birdcakes!!! Step into a world of state-of-the-art cupcake-and-bird weaponry! 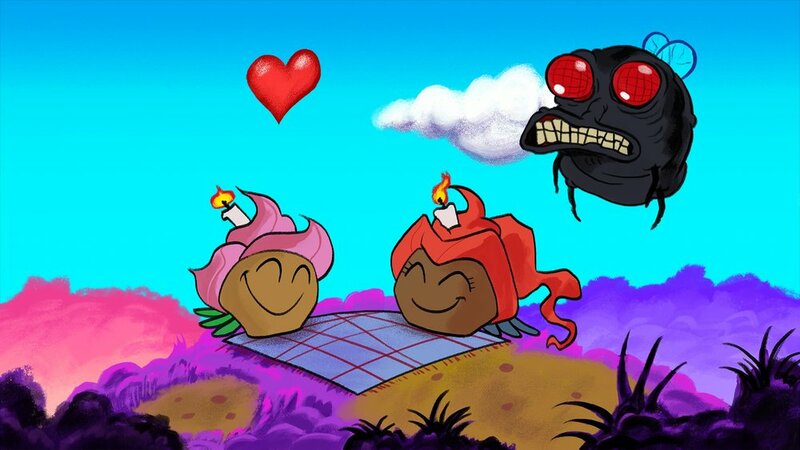 After a picnic went horribly wrong, Pancake the Cupcake desperately tries to fend off hungry flies away from his girlfriend Cherry! Featuring colorful 2D art; tight shooting controls; and fluid aerial movement mechanics; you’ll be set for a wacky, zero-calorie romp through the kitchen and beyond. 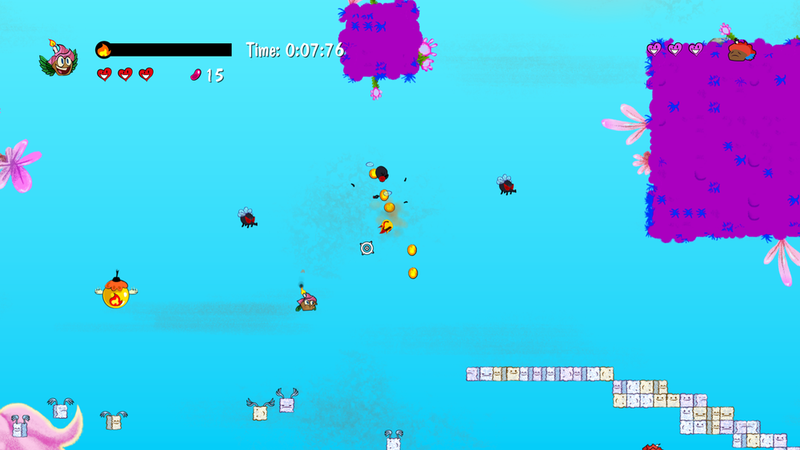 Fly through 6 fly-infested worlds and destroy them with Pancake’s powerful candy bullets. This will be no walk in the park however! Die once, and it’s all the way back to the beginning; so make sure to buy power-ups from the bakery store and get ready to save the (cupcake) world! Featuring 2 playing modes: Story & Infinite. No saving! You can keep the powerups though. Fast-paced levels with tight flight controls. Compete in online leaderboards for the highest scores. Need help with one of our games? Xbox One and the Xbox logos are trademarks of the Microsoft group of companies and are used under the license from Microsoft. The Steam logo is a registered trademarks of Valve Corporation.